MARVEL! E foi liberado pela Entertainment Weekly o primeiro first look oficial da Capitã Marvel de Brie Larson. A first look at Captain Marvel is finally here and with it comes some brand new details about the highly anticipated Marvel Studios movie. Apparently, when this adventure begins, Carol Danvers will already have her powers and will have left Earth behind to join an elite military team called Starforce, a group led by Jude Law’s enigmatic commander. However, she soon chooses to return to Earth to explore her past and that’s presumably when we’ll learn how the superhero gained her incredible abilities. E é isso aew. Parece que o filme não vai ser uma história de origem tão linear quanto nós imaginávamos. Ela já vai começar com seus poderes. 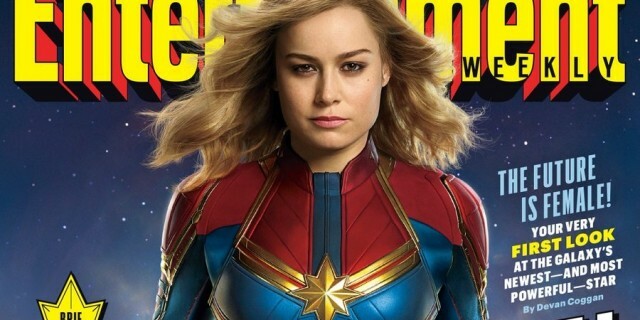 Mundo Bignada, onde nada é um novo mundo e nada é Primeiro First Look de Captain Marvel pela EW.